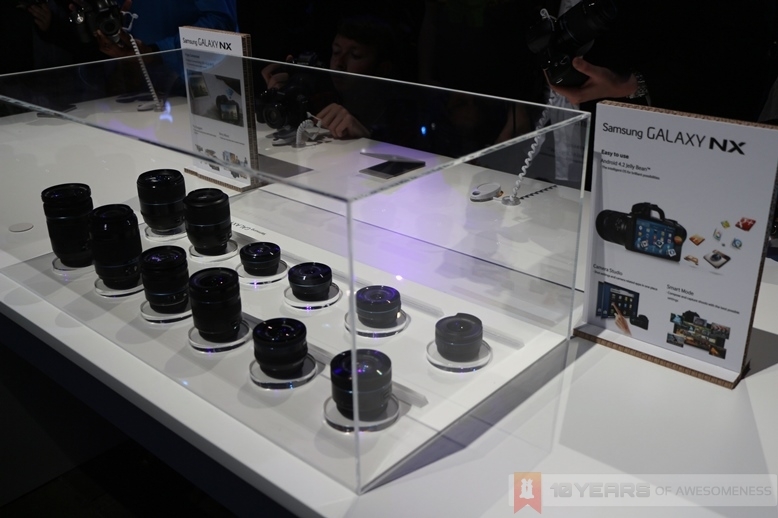 Among the slew of new devices announced today at the Samsung Premiere event, the Korean giants has also announced a first in the imaging industry: the Galaxy NX mirrorless camera, powered by Android with built-in 4G LTE connectivity. The new Galaxy NX mirrorless camera is equipped with a 20.3MP APS-C sensor, and powered by the DRIMe IV Image Signal Processor. The new range of 13 interchangeable lenses complements the new Advanced Hybrid Auto Focus System and ISO range of 100-25600. The Galaxy NX is also capable of shutter speeds as low as 1/6000 sec and 8.6fps shooting to capture every moment as it happens. 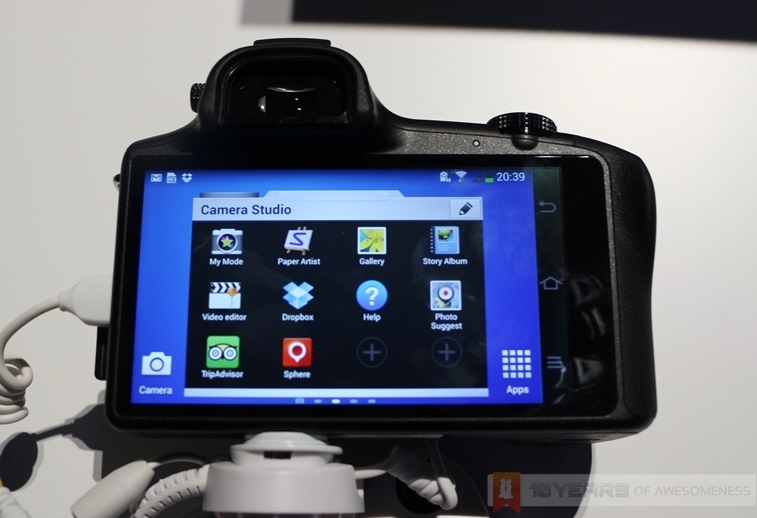 Primary navigation on the Galaxy NX is via the 4.8-inch LCD touch display with a resolution of 1280 x 720. 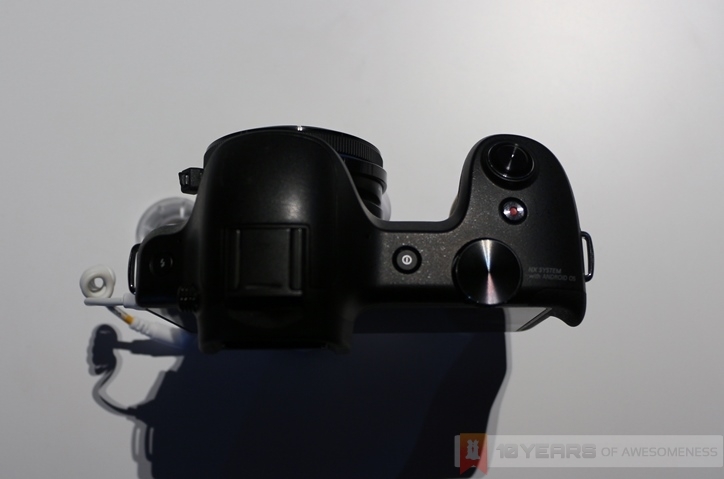 Like the Galaxy Camera before it, the display encompasses the entire back portion of the Galaxy NX. 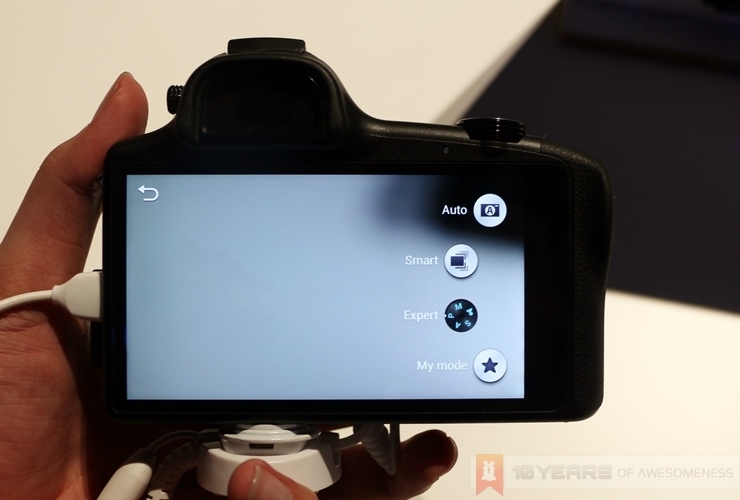 In addition, the Galaxy NX also features a Camera Studio, as well as over 30 Smart Modes for a variety of different effects, such as “Multiple Exposure”, “Sound & Shot” and “Animated Photo”. Also, the suite of TouchWiz features are all also present on the Galaxy NX. 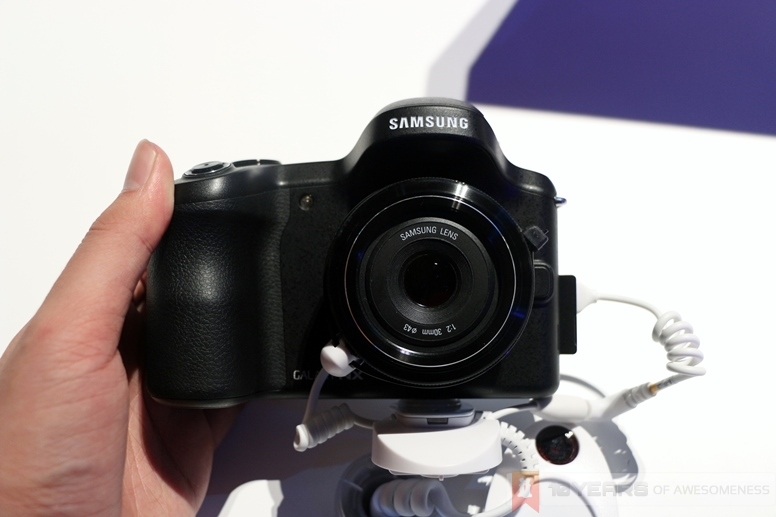 For a mirrorless camera, the Galaxy NX feels rather large. 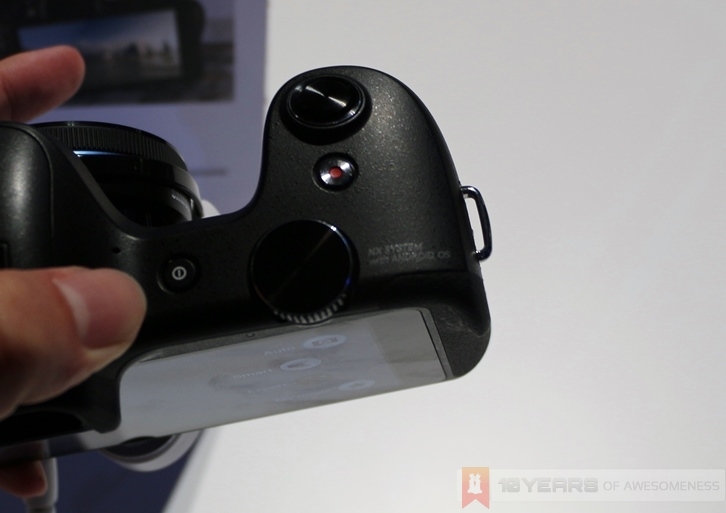 Indeed, this was also apparent in the original Galaxy Camera, where the large screen size resulted in a digital camera that was much larger than others in the market. 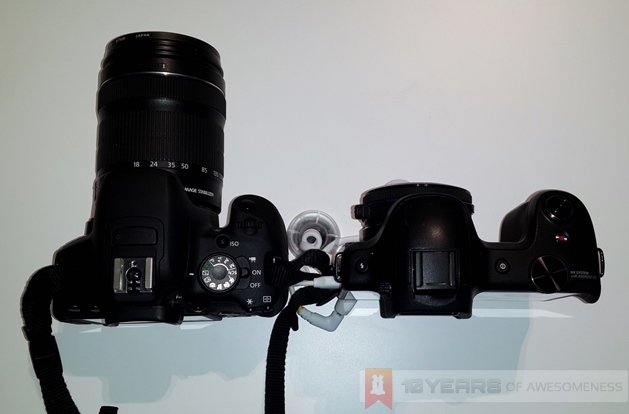 When put next to a Canon DSLR, the Galaxy NX actually wider than the DSLR, primarily due to the large 4.8-inch touch screen. 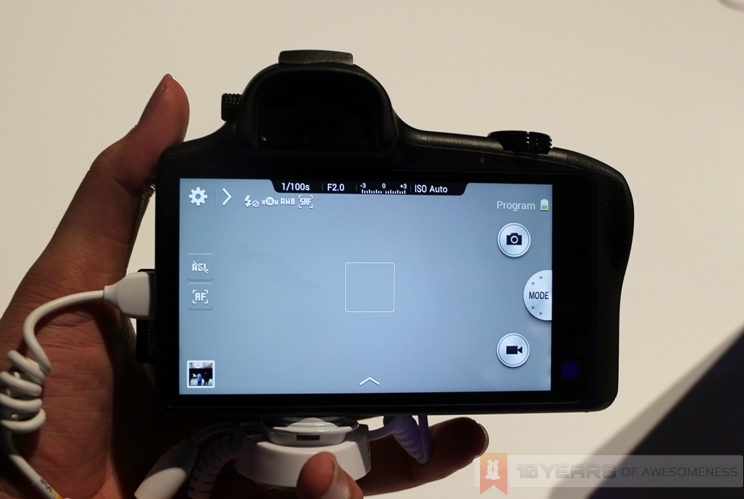 On top of that, the Galaxy NX is also powered by Android 4.2, as well as 4G LTE connectivity. 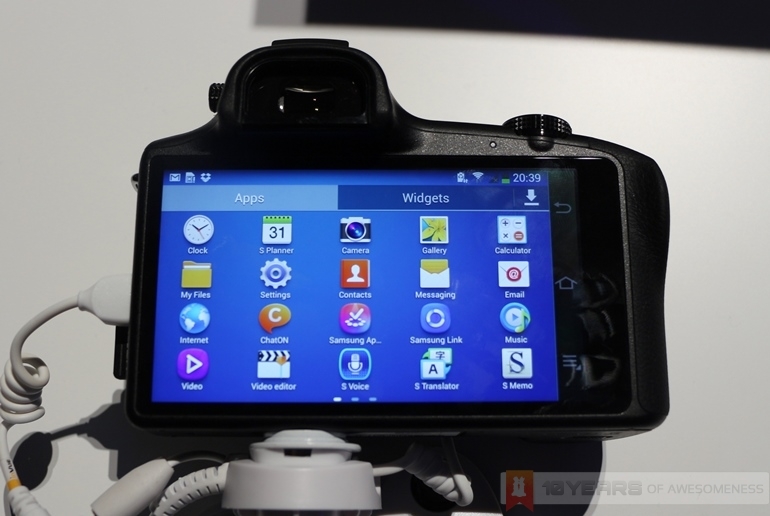 Just like the Galaxy Camera, however, the Galaxy NX does not have support for networks below 3G. On the other hand, there is WiFi connectivity for quick and easy file sharing. And, with a 1.6GHz quad-core processor, 2GB of RAM and 16GB of expandable storage, the entire Google ecosystem is readily accessible on this mirrorless camera. Finally, the 495g Galaxy NX mirrorless camera packs a 4360mAh battery pack, as well as various sensors such as accelerometer, geomagnetic, proximity, gyro, and RGB light. Also, Adobe Photoshop Lightroom is also bundled in with the camera. Like the other devices announced today, there is no word on when the new Galaxy NX mirrorless camera will make its way to the markets around the world. 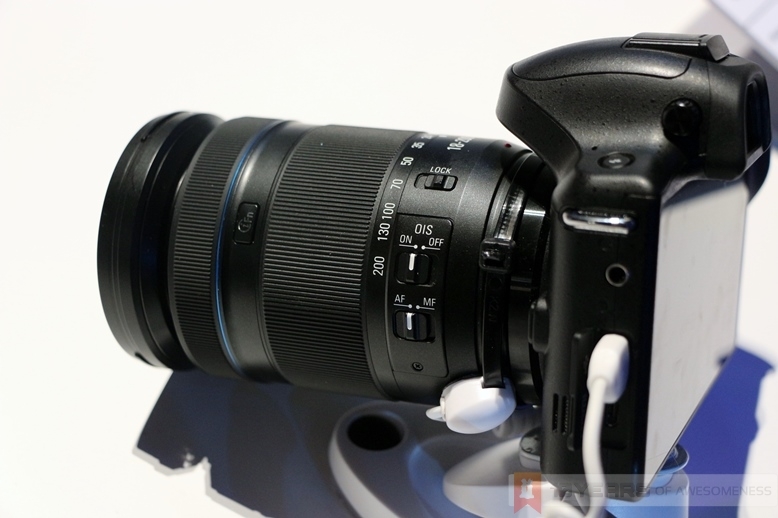 Until then, the jury is still out if the addition of the Android operating system compromises the image quality on the Galaxy NX – the primary reason for purchasing a mirrorless camera.